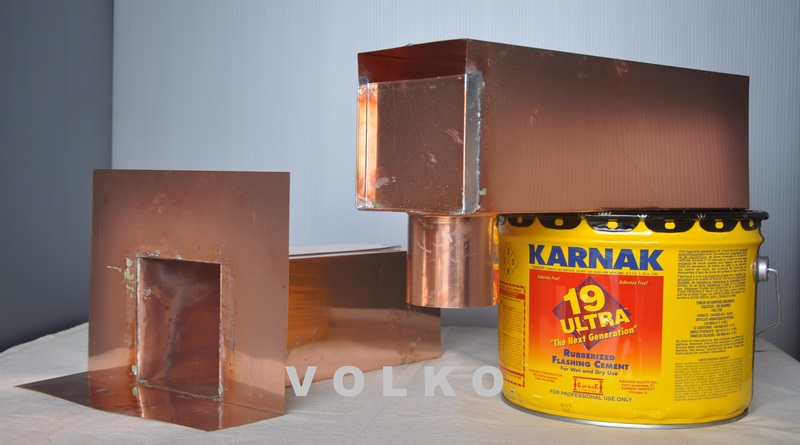 Stock sizes for our Copper Leader boxes are 4"x4" and 6"x6". Custom Scuppers available as well. 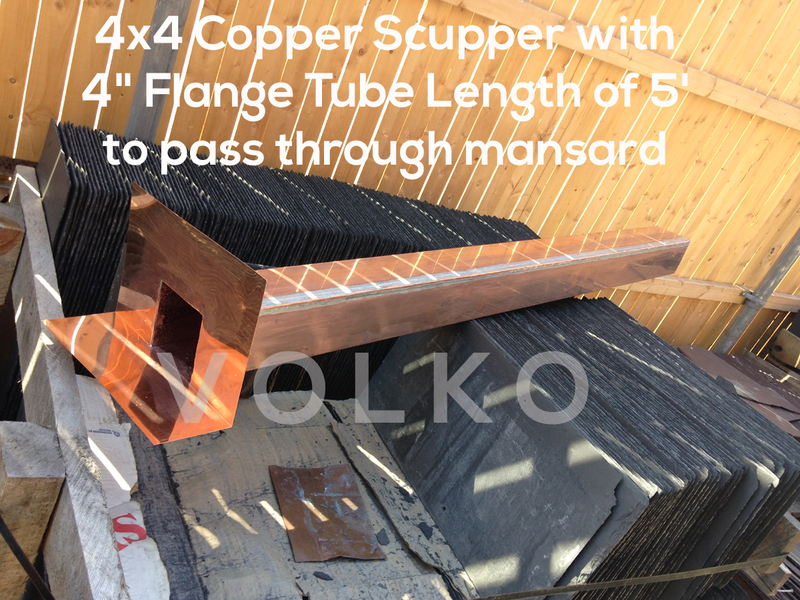 Volko Supply has been selling these hand made copper through wall scuppers from our Garden City Park location for over 60 years! Made from 16 oz copper, our scuppers have soldered and crimped seams. They have stood the test of time and the elements. 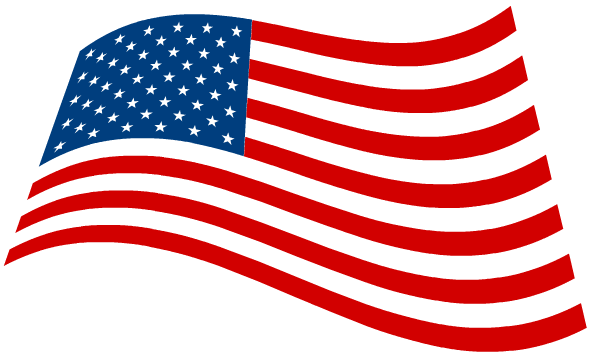 These products are made with pride in the United States....they are actually fabricated right here in New York! Unlike our scupper boxes which install through the inside of the parapet wall, these leaderboxes are installed from the outside. The copper is then cut, soldered, and flashed into the roof. On asphalt or built up roofs this can be as simple as some tar and fabric, or using a self adhesive roofing or roofing tape along with some asphalt primer. While a more difficult install, these leaderboxes do not require an additional leaderhead or collector box to transfer the water from your roof into a drain pipe. Sometimes these scuppers are used for overflow from the roof to supplement existing vertical roof drains. We can custom make these to any size or dimension you need! If you need a longer tube, different size outlet, or wider box area let us know. 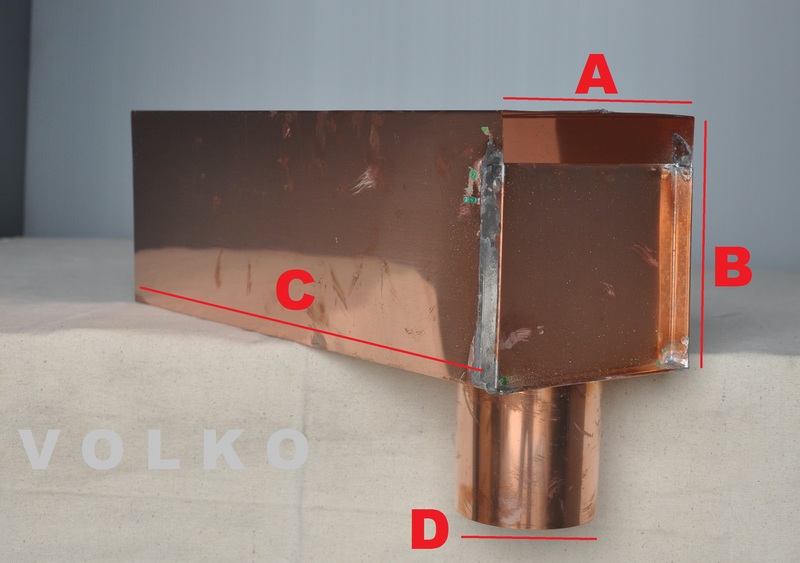 4x4 copper leaderbox with a 4" copper elbow directly connected to the outlet. This is an easy way to get water away from the building, though you would normally want to attach a leader or drain pipe. The inside detail of the leaderbox outlet attachment point. It is fully soldered for a long life. On the left is a through wall scupper with flange, while the unit on the right is a scupper with an outlet tube attached. The first is an easier install, but will either spill out or must drop into a leader head. The second is a harder install, but can drain directly into a leader or through an elbow. Need to buy something right now? 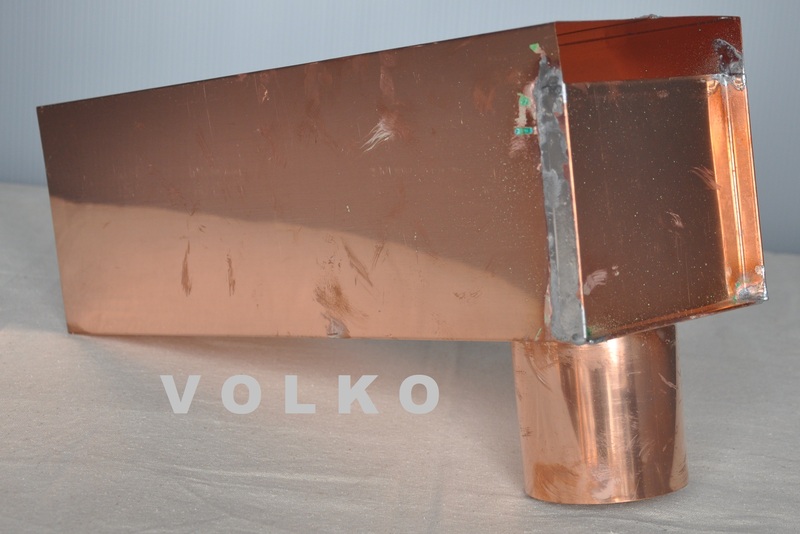 Our scuppers, leaderboxes, fancy copper leaderheads, and commercial copper leaderheads are available for sale at our Ebay Store. 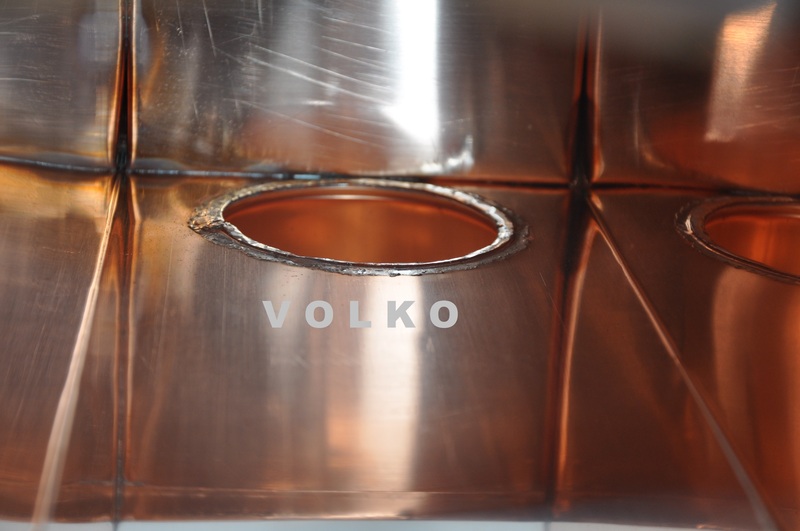 Please call us (1-800-685-8263) or email us (info@volko.com) for multiple item discounts and custom work. 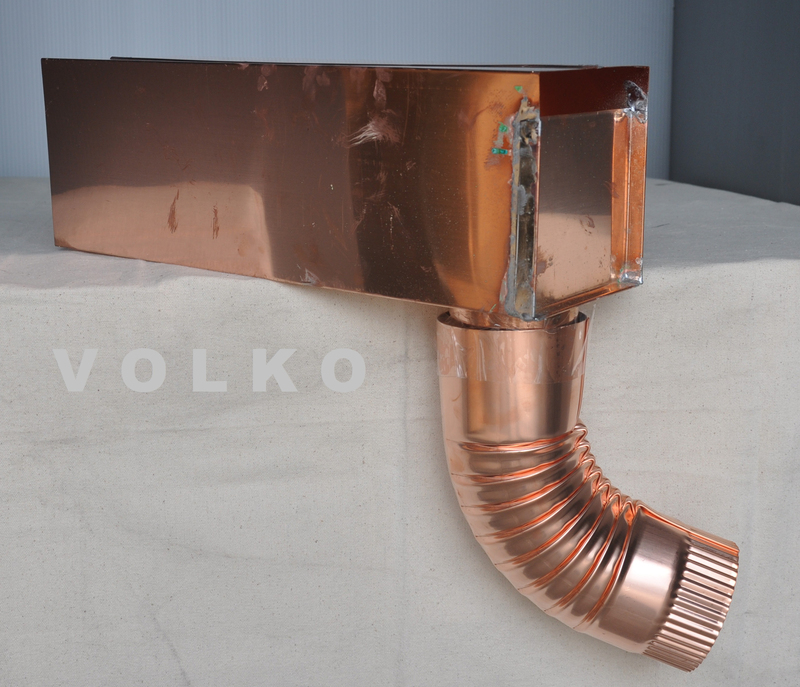 A 5' long through the wall copper scupper. This is being used to drain a flat roof through a mansard roof. Note that the seam is fully soldered. It is also double locked to ensure the drain lasts, and survives freeze thaw cycles common in the North East. Check out some of our other custom work here!